No matter how beautiful this curtain was it didn't represent the heart of God. It created a division between God and His people. It put God's relationship with His people in the hands of a select few. 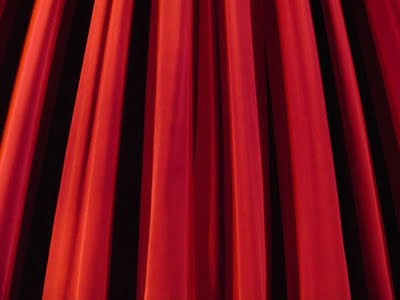 God revealed his true heart when on the death of His Son this curtain was cut in half from top to bottom. God signals his intent that the way to God was open to all irrespective of colour, gender, nationality, good or bad. No one ever needed to have a second hand relationship through priest, father, prophet, pastor or leader ever again. Don't hang up another curtain by handing your relationship with God to someone else. How and when do you connect with God? Feed Me, Feed Me Now! It's the next generation - stupid. Want to be a slave of Christ?